We're KKB. We make pop music for the whole world. We met when Sarah responded to Gus and Jamie's advert for a rapper on MixB, a bulletin board for Japanese expats in London. Sarah raps about homework, parties and crocodiles, and treats English and Japanese as one language. Gus and Jamie sit around looking pretty. Intro Bonito, our debut mixtape, came out in August 2014 on Double Denim. 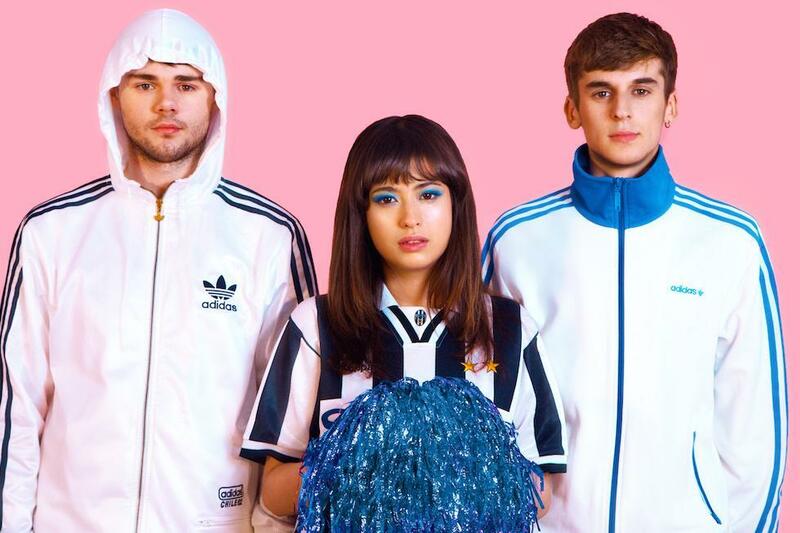 It features hits like "Sick Beat" (gamer girl power rap bass) and "Kero Kero Bonito" (reggaeton self-advertisement). We also released a remix EP, Bonito Recycling, appeared on Secret Songs' compilation shh#ffb6c1 and self-released our last single, "Build It Up". The Guardian, Pitchfork and Entertainment Weekly have been kind enough to write about us. You might have even heard Phil Taggart playing "Build It Up" on Radio 1 or Sarah being interviewed on J-WAVE. This year, we're working on our biggest project yet and bringing our show to a stage near you.